Robart Electrical Services Ltd. Why Choose Us? 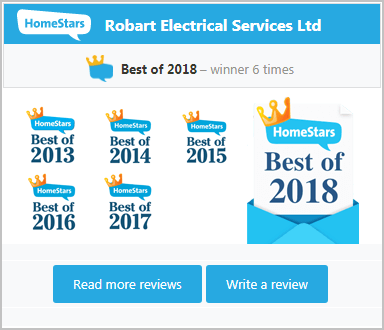 | Robart Electrical Services Ltd.
Don't be SHOCKED but we provide our customers with upfront pricing so there is never a chance that the quoted price will change, unless you make the changes. We pride ourselves on up front honesty. An electrical permit is required by law and nothing will be done by us without the coverage of an electrical permit and approved inspection. Insurance companies are now opting to possibly void insurance in the event of a claim when electrical work that was done without a permit and inspection. 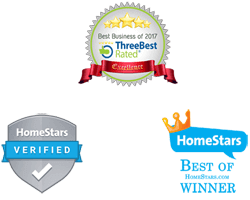 We have 3 Master Electricians on staff (the younger being awarded for his achievements) in order to provide exceptional service to our clients, we collaborate between our staff to determine the best method of providing top notch service and a fair cost. We take a lot of pride to choose trades people who have experience and knowledge in the field of work we are placing them into. We make every effort to provide information and direction to our staff to ensure your satisfaction at the end of the job. Created in 1984, Rob Swyrd has worked to develop a unique direction and feel for the company. His vision was to provide service and personal attention to clients regardless of the size of the job. Rob Swyrd started things in 1984 with the creation of Robart Electrical Services. Years later his wife Sharon came on to assist with the office duties, then can son Chris Swyrd, Daughter Mindy Skereyko and finally Journeyman son-in-law Ryan Skoreyko. If you're looking for fast, efficient, quality electrical services in Edmonton (or surrounding area) why not call us and experience the Robart Vision. Phone (780) 238-8195 Today! Established in 1984, Robart Electrical Services Ltd has strived to be different than our competitors. By exceeding our customers expectations, designing projects based on our customers needs and budgets, and providing highly skilled trades people, we hope to stand out from the others.